This semi flush mount will update your home with its eye-catching design. Featuring a chrome finish and white shade(s), this fixture will accommodate a variety of dicor styles. With its easy installation and low upkeep requirements, this semi flush mount will not disappoint. 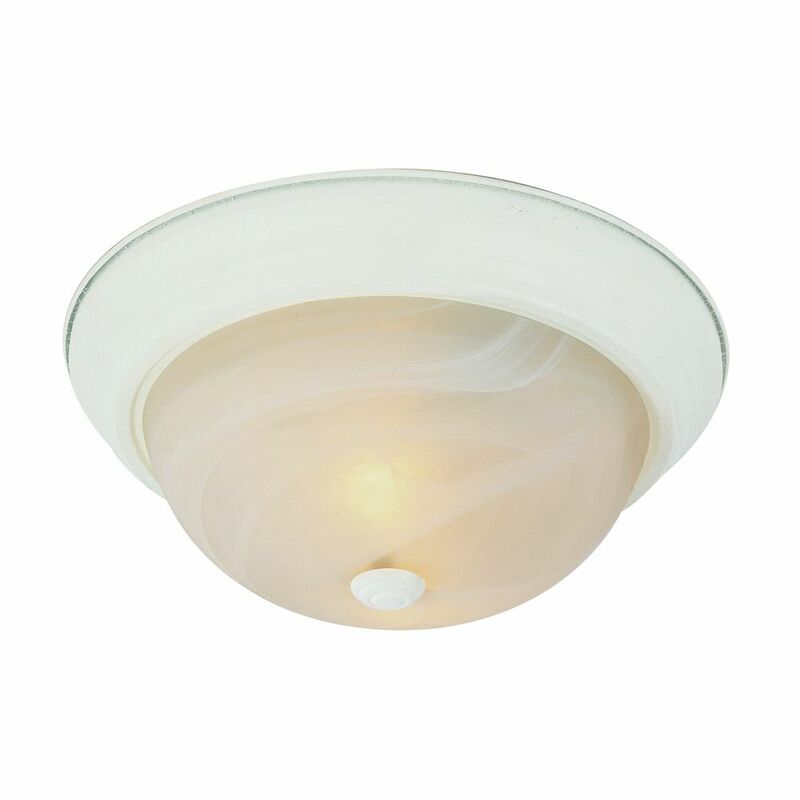 White and Marbled 13 inch Flush Mount Classic melon glass shade for a traditional contemporary look. Full coverage flushmount easily hides existing ceiling flushmount opening. Suitable for damp locations making fixture a perfect fit for bath, kitchen, and service porch areas.